With the large number of media articles, case studies and TV specials dedicated to the subject of healthy food alternatives, most Australians are well educated about how to eat properly, but do they know how to drink properly? The recommended two litres of water per day is not just an old wives’ tale; drinking plenty of fresh water daily not only keeps you hydrated but also helps to ward off a number of health problems. Two-thirds of the human body is made up of water, so it makes sense that we need to constantly replenish our water stores to remain properly hydrated. Aside from sweating and going to the bathroom, humans also lose up to three glasses of water per day just by breathing. Water replenishment is not only important for re-hydration, but also for the everyday functioning of your body. Like the old saying “an apple a day keeps the doctor away,” two litres of water a day will help keep health problems at bay. 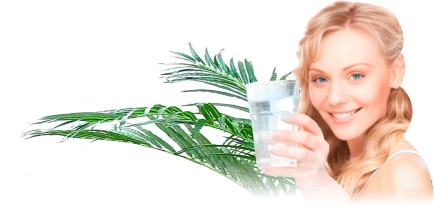 Weight gain, back pain, headaches and indigestion are just some of the many side affects of not consuming enough water. If you are not drinking the recommended two litres of water per day, you are running the risk of putting strain on your internal organs, which can not only lead to temporary health problems such as weight gain or headaches, it can also lead to more severe problems such as kidney disease. 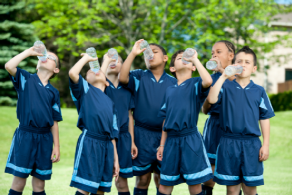 Avoid these risks by keeping yourself properly hydrated each day. If you have any concerns about tap water and the level of fluoride in it, opting for bottled spring water or installing a filtering system in your kitchen will ensure that the water you drink is fresh, clean and only contains three per cent fluoride. This entry was posted in Drinking Water, Water Health and Safety (OH&S) and tagged bottled spring water, bottled water, spring water, water delivery by Teala. Bookmark the permalink.